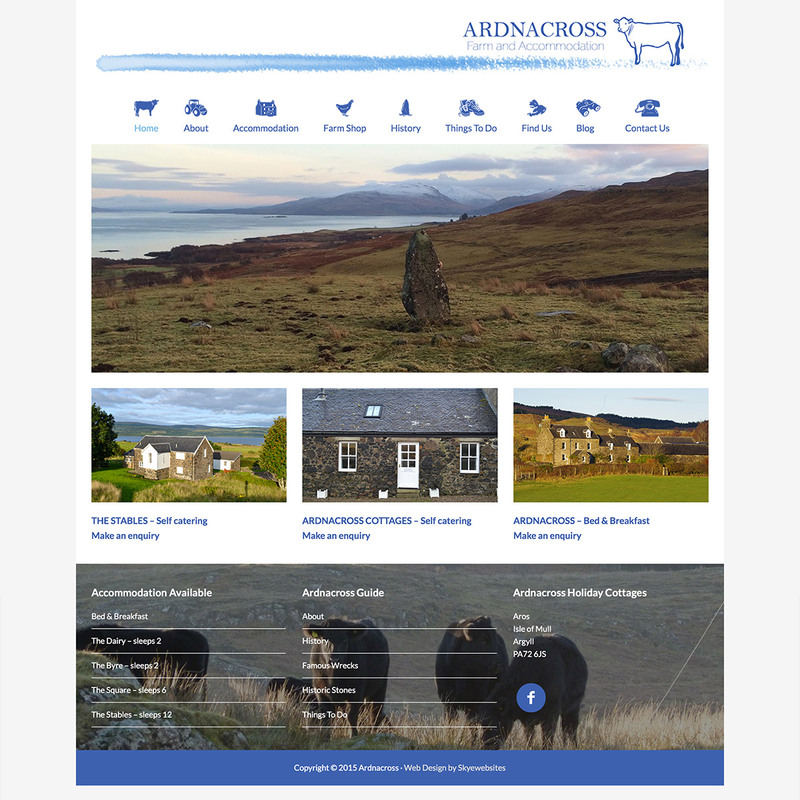 Ardnacross is a beautiful working farm of 1200 acres rearing Aberdeen Angus cattle near Tobermory on the Isle of Mull. The farm includes three self-catering cottages and one large family self-catering house. We were approached to create a logo and modern mobile responsive website for the business to replace 3 existing websites. With great panoramic views of the Isle of Mull and the Sound of Mull and only a few miles from the iconic town of Tobermory, the owners of the business were keen to bring these different aspects into the design of the logo and icons, as well as incorporate the scenic photos they had. The website was deployed using WordPress as the content management system, something we use for all clients to give them the ability to update content without the need for a complicated web design application or paying for the services of a web designer. Using the photos provided we created a clean but logical layout that showed the best aspects of the properties as well as a glimpse of the great panoramic views.